Chinese mainland stocks gained on Tuesday after global index provider MSCI added 13 Chinese companies to its MSCI Global Standard Indexes. Shares were also lifted by fresh policy stimulation for certain sectors. Of the 13 companies that were added to the MSCI indexes, 12 joined the MSCI China index. Among the 12 companies, five are listed on the A-share, including Aluminum Corp of China, Huaxi Securities and SDIC Capital, according to a statement by MSCI on its website. Aluminum Corp of China was up 0.54 percent at 3.7 yuan ($0.55), while Huaxi Securities gained 2.01 percent to 8.64 yuan. The Shanghai index was up 0.68 percent to close at 2,672 points. The Shenzhen index gained 1.15 percent to 8,010 points. The A-share markets were pulled higher, mainly by healthcare sector, on Tuesday, following news of government plans to reduce value-added taxes on certain medicines and offer more cancer treatments. The plans were announced by Premier Li Keqiang during a meeting of the State Council, the cabinet, on Monday. MSCI also announced it would add two Hong Kong-listed companies - Xiaomi Corp and Meituan Dianping - to its indexes. The Hang Seng Index rose 0.1 percent to 28,171 points on Tuesday. According to the MSCI statement, the additions will take place as of the closing on February 28. 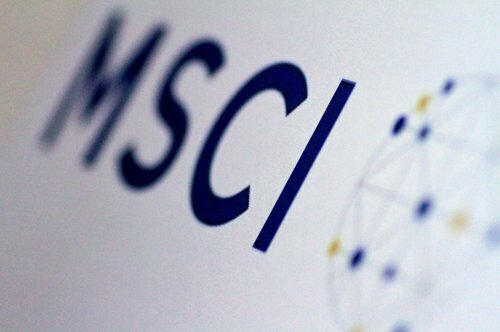 MSCI will also announce its final decision before March 1 on whether to lift the weighting of A shares in its indexes.